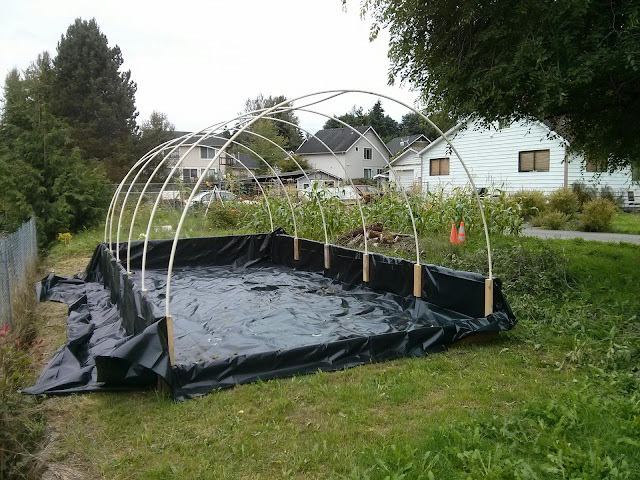 Dad is making progress on the greenhouse. He is planning to make a "rocket furnace" to heat the greenhouse and run the hot exhaust through a floor of gravel and cement chunks. I'm pretty excited! I'm also very pleased with the crabapple tree. It is doing so well and the apples are almost ready! 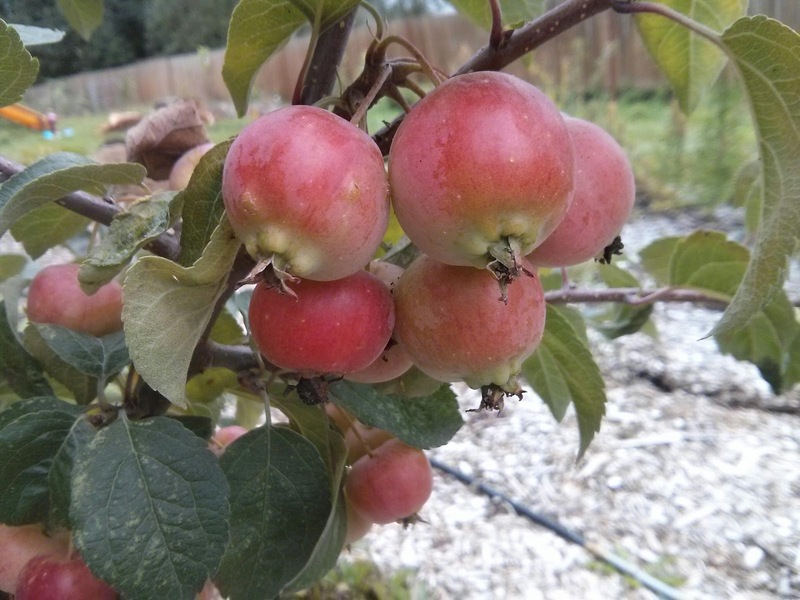 Do you have a favorite crabapple recipe? 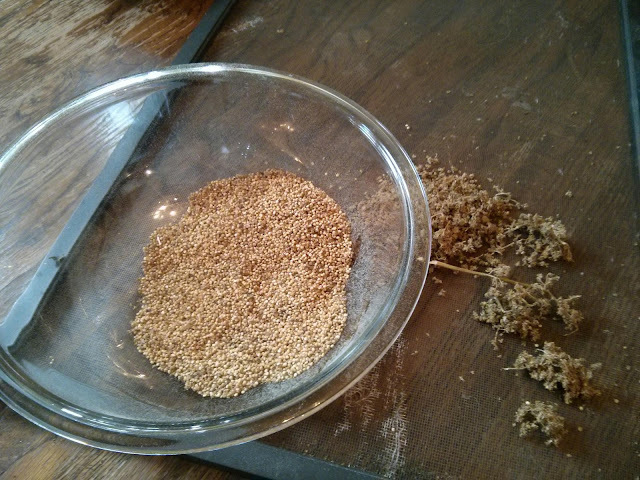 Today I harvested a single head of quinoa. I'm amazed how much is in each head! But I will definitely need to work on the efficiency of separating the seeds from the flowers since they don't pop out like many other seeds. 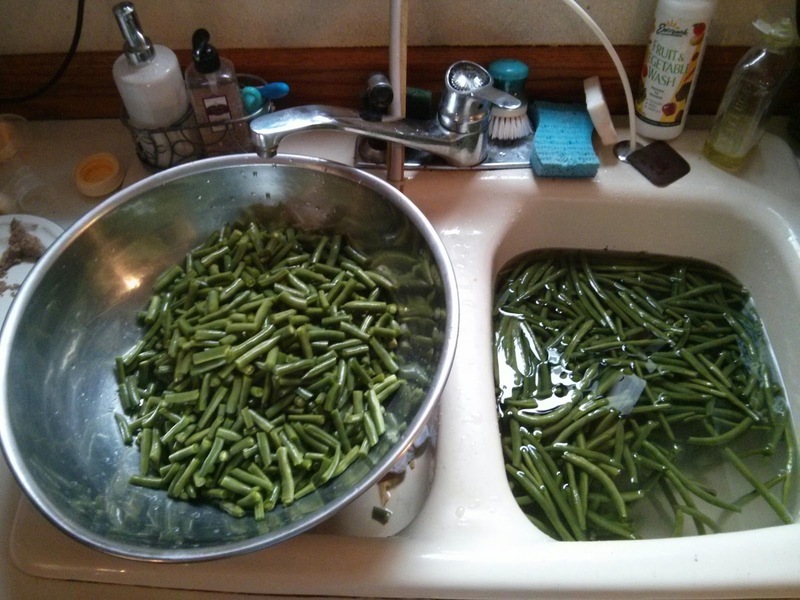 Mom and I worked most of the day to prep and can two boxes of fresh green beans from Carpinito Brothers. Next up: peaches and tomatoes.